Ready to buy? 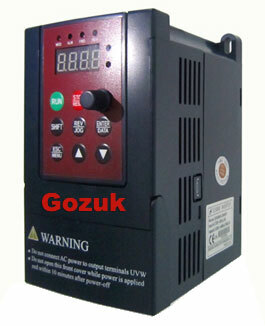 refer to our price list for this 1/2 hp VFD, the direct sale from manufacturer. Tips: What types of signals can I use to give a VFD speed commands? Typically, VFDs accept 4 to 20 mA and 0 to 10 Vdc speed commands. Others include 0 to 1 Vdc and digital signals from a keypad. More advanced VFDs interface directly with PLC networks and other serial communications ports. These can be drive-to-drive and user-to-drive communications, many of which are configurable to meet specific hardware and application requirements. Contact the sales man if you not sure about it.